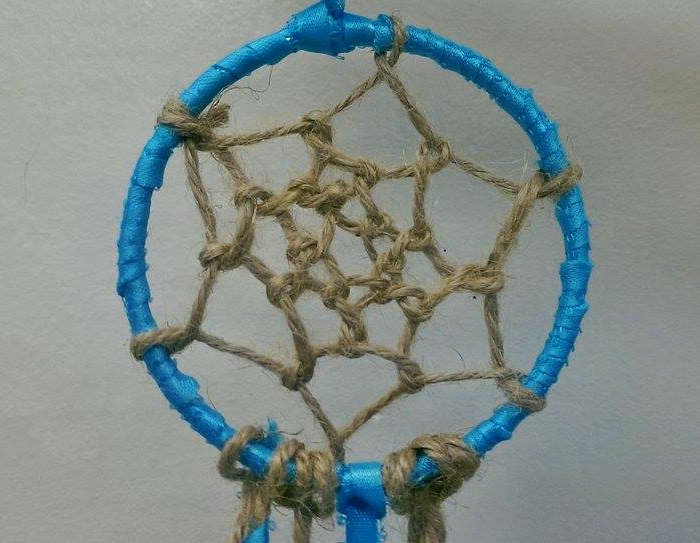 Dream catchers, a Native American tradition originating with the Ojibwe people, are believed to have the power to filter good dreams from bad ones when hung above a sleeper’s bed. The magical webs, first made from willow hoops and sinew, represent the travel of giizis, the sun, through the sky. At night, the hole in the center only lets bawedjige, good dreams, pass through. These dreams then glide down the feathers to the sleeping person below. Meanwhile, bawedjigewin, bad dreams, are trapped in the web and dispelled when struck by the first rays of the sun. What began as a cultural belief has grown in popularity, as dream catchers can be used as a decorative element to hang in the bedroom, throughout the home or in an outdoor space. 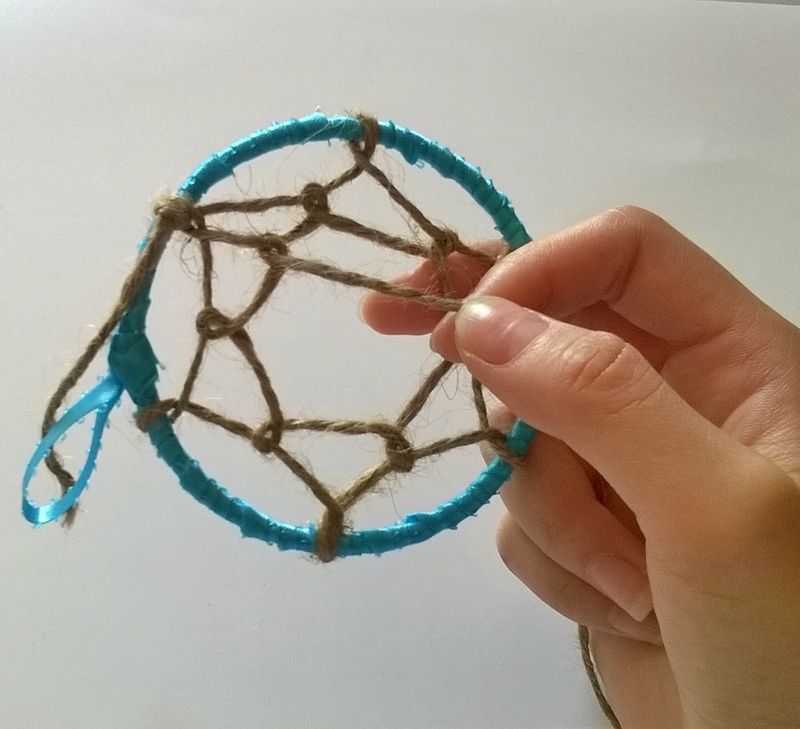 Below is a tutorial on how to make your own dream catcher in five simple steps. Step 1: Form a loop with the ribbon and knot it to the ring before wrapping the ribbon around the entire ring. Step 2: Tie one end of the twine to the ring then loop the twine about 1 1/2” along the ring. Step 3: Form six or seven loops around the circumference of the ring, making sure to keep the twine taut. Step 5: Secure with a knot and cut off excess twine. Step 6: Tie various lengths of ribbon and twine at the bottom of the dream catcher, personalizing it by threading beads onto or braiding the strands together. Hot glue feathers at the ends of the strands. 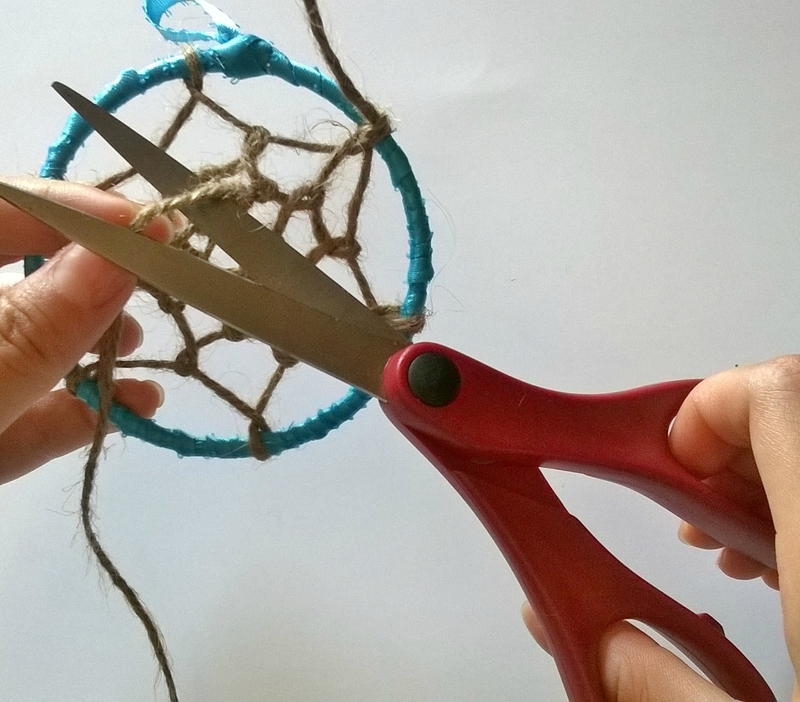 Hang the finished dream catcher!